Atractive unfurnished one bedroom tenement flat in Cardonald located moments from local shops, Morrisons supermarket etc. This flat has been is located above the shops on the first floor and offers entrance hall, stylish bathroom with shower over bath, large dining kitchen with recess cupboard, double bedroom to the front and spacious bright living room. Secure entry. 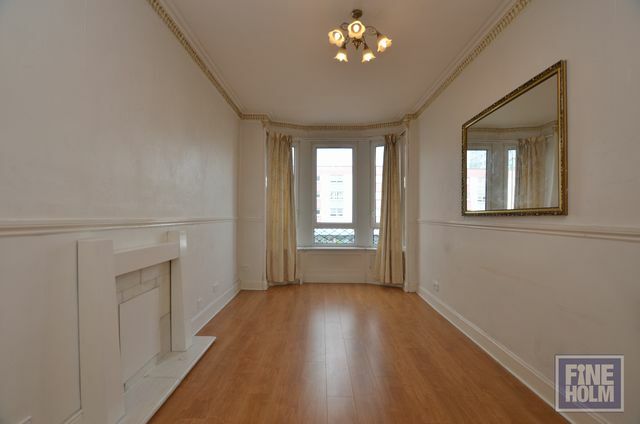 Decorated in neutral colours with attractive flooring throughout. GCH, double glazing throughout. Secure entry. Close to all amenities and nearby Bellahouston Park, nearest railway station at Mosspark & Cardonald.